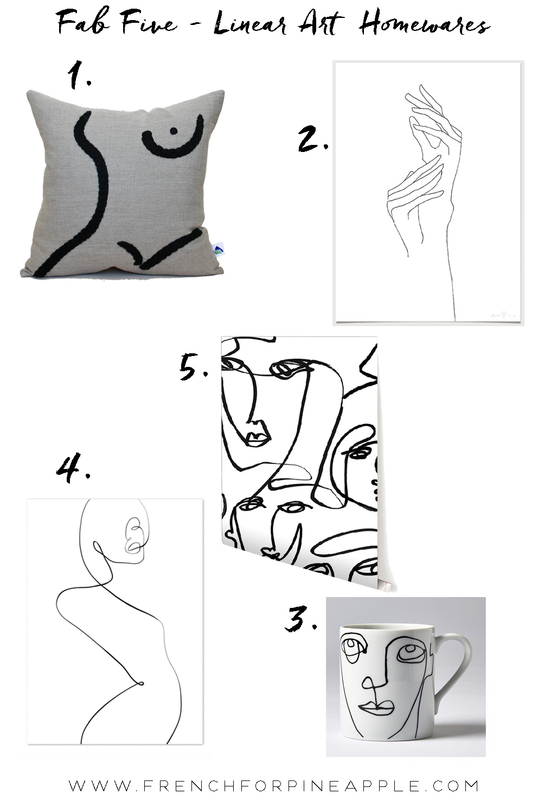 I've been noticing more and more Matisse and Picasso line-drawing inspired homewares popping up, which signals a micro-trend. And we all love a micro-trend right? Well, at least I do. Micro-trends are like words you've never heard in your life, but once you hear and acknowledge them, you start hearing them all the time. Do you know what I mean? Just me?! Incase you haven't noticed, Maximalist AND Scandi styles have both been having a moment, so it's only natural that trends will twist and turn away from both eventually (it takes years though, so don't' fret! ), and I predict a turn to warm 'mini-maximalism'. Neither maximal or minimal, but sumptuous and considered. And as we've already been seeing, warmer tones are replacing cold greys, so expect LOTS of lighter rooms with warmer caramels and beiges. Yes, that's right, beige. Anyway, what I'm saying in a roundabout kind of way, is that these kinds of designs work particularly well in a mini-maximal space, as they're quiet yet busy, and they work best when given room to breathe. Revamp Restyle Reveal Season Two: Lift-off!